Food and wine pairing is great in theory but sometimes it can be such a bore. As someone who doesn’t like being told what to do, my initial reaction is usually something along the lines of “leave me alone, I’ll drink what I want”. But funnily enough, matching your wine to your food makes a huge difference to how much you’ll enjoy your dinner, and you don’t even have to be a pretentious a-hole about it! Bubbles are great with oysters and caviar but I’m bored just writing that. Believe it or not, sparkling goes really well with fatty food like duck, oily fish and anything fried. 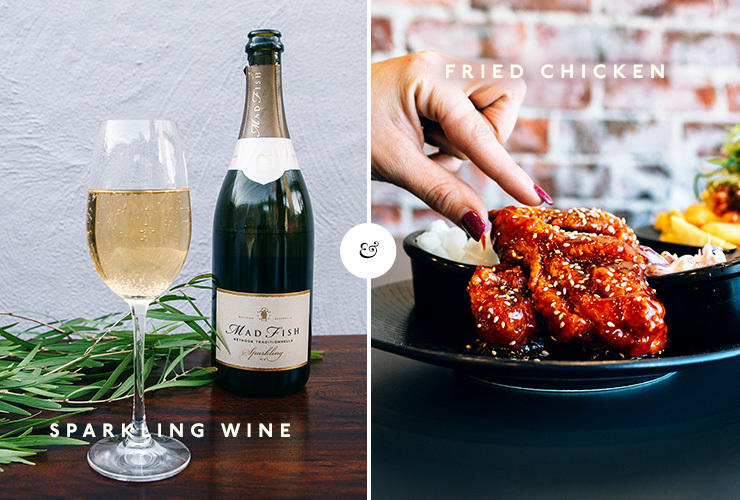 That’s right, fried chicken and sparkling is our new favourite combination of any two things ever and you should serve it at your next dinner party for maximum friend retention. 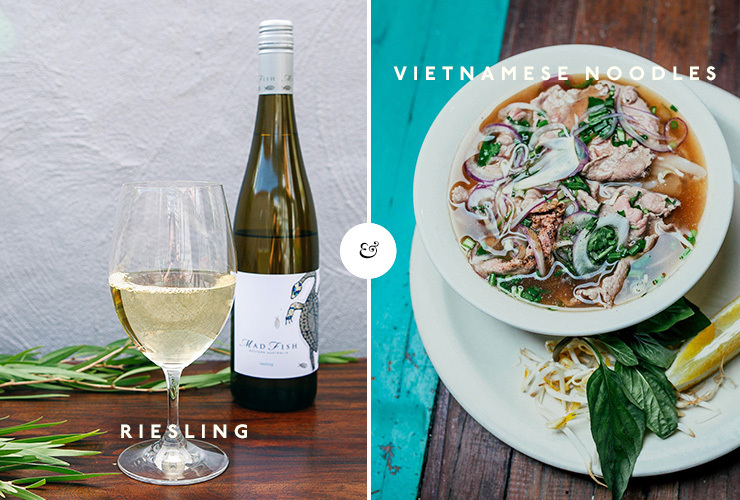 Find yourself a dry, citrusy riesling—because no one likes that sickly sweet stuff—and cook up a Vietnamese or Thai storm. Don’t be afraid to match it with red meat either. Think beef curry with a heap of fresh lime squeezed over it, or lemongrass beef and rice vermicelli noodles. 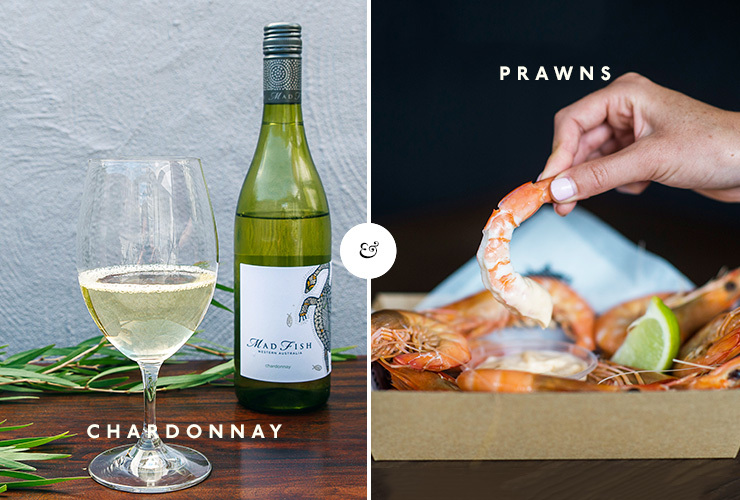 I won’t even judge you if you just order take away from your favourite Vietnamese joint—we’re mastering wine pairing after all, not cooking. Chardonnay and shellfish is a match made in heaven—just don’t be boring. Load those prawns up with herbs and garlic and you’re in for a good night. Chardonnay is also great with salmon (and most fish really) as well as soft cheeses like goat’s cheese. Oh yum. The acidity in an SBS (I know that sounds a bit wanky but bear with me for a second) means it goes really well with fried stuff (there you go). Think fried soft shell crab or salt and pepper squid. 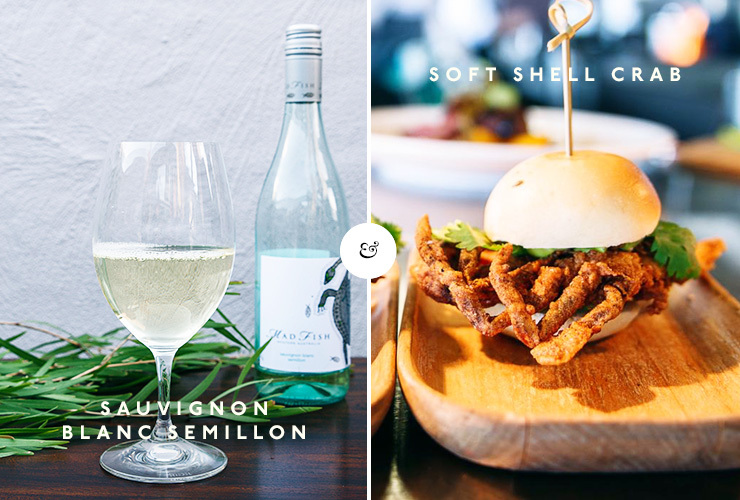 If proper wine and food pairing means eating all the fried food, I’m in. 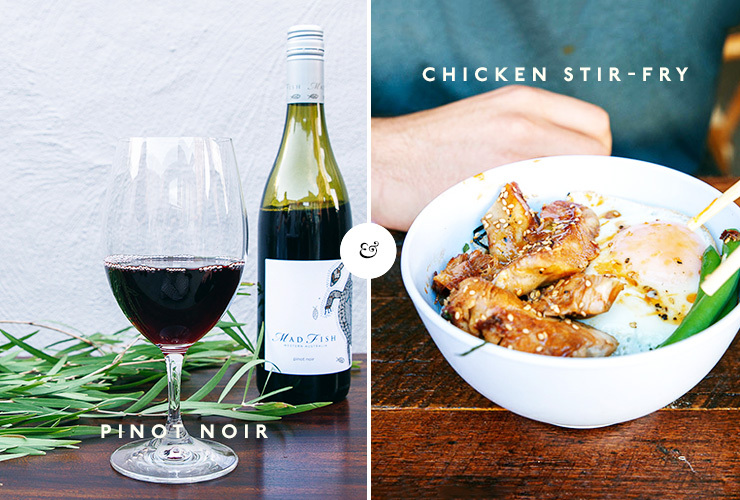 Time to get your Asian on because pinot noir goes down a treat with that honey, soy and sesame flavor combo, especially when you’ve got a rich meat like duck in the mix. Pinot noir is also great with pulled pork, as well as cold meats and pâté, so whip out your charcuterie board and have a drink. 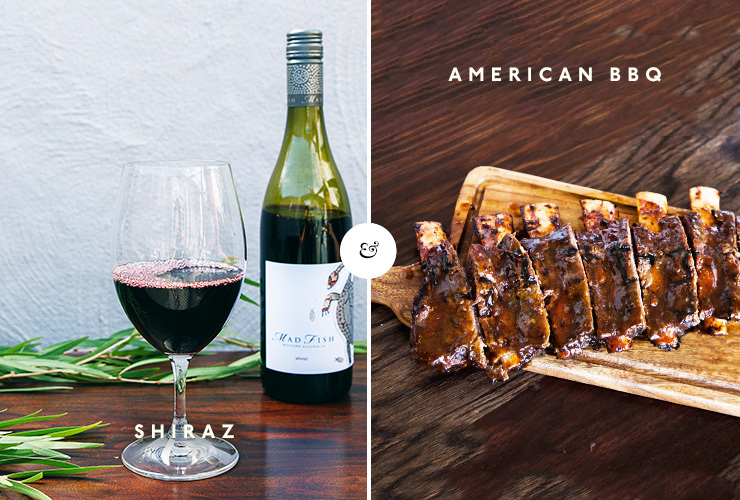 While BBQ makes you think of summer and shiraz makes you think of fireplaces, these two bad boys actually pair perfectly. But think American BBQ—like ribs or brisket—instead of your traditional Aussie BBQ. Obviously shiraz goes pretty well with all sorts of meat, so if you want to keep it really Aussie, how about a meat pie? Now that you're all clued up, why not throw the ultimate stress free dinner party?